As was discussed in Section 9.3, the pH of the ocean corresponds to that of a solution of carbonic acid partially neutralized by reaction with basic minerals. That is, the means by which the pH of the oceans is established can be understood only if the interactions of these minerals with the aqueous components are considered; the carbonate system alone does not determine the natural pH of the oceans. (The carbonate system, along with the much lower concentration borate system, will provide short-term buffering action.) The average ocean pH is about 8.1; surface values are a bit higher 8.3). The typical variation of pH with depth is shown in Figure 11-1. The high surface value may relate to biological factors, while variation at depth probably relates to pressure and temperature effects on equilibria, as discussed in Chapter 9. Physicochemical models of the ocean have been set up to try to understand the pH-controlling reactions, among others. A model devised by Sillen2 is a good example. In this and related models, it is necessary to consider not only the water and dissolved materials, but also the atmospheric and sediment components that could take part in environmental reactions. Equilibrium is assumed. The amounts of material to be considered per liter of seawater are shown in Table 11-2. Only the most abundant elements are listed here along with water, since these will have the most important effects. One may consider the various chemical equilibria that could be set up among these major constituents. This is done most conveniently by imagining the successive addition of components to the water. The ions O2 , OH , or H+ may be associated with cations (or anions) in the following discussion. 1Mono Lake is naturally highly alkaline because loss of the water flowing into it is largely by evaporation; the salts brought into it from the streams feeding it are concentrated and not flushed out. In recent years, the lake has evaporated to a fraction of its former self as the feeder water has been diverted to Los Angeles. L. S. Sillen, The physical chemistry of sea-water, in Oceanography, (M. Sears, ed. ), p. 549. Publication No 67 of the American Society for the Advancement of Science, Washington, DC, 1961. 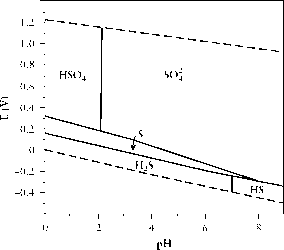 FIGURE 11-1 Variation of the ocean pH with depth. Solubility of amorphous SiO2 is higher than that of the crystalline material, and consequently this form should dissolve with reprecipitation of the crystal. The fact that amorphous silica3 is found in nature illustrates the problem of rate. Dissolution of the amorphous material is slow. Bottom ocean waters have about the expected dissolved silica concentration, but the surface concentration is influenced by biological (diatom4) action. The use of silica in the skeletons of these organisms is the reason for the existence of a biogeochemical cycle for silica. Further steps may lead to higher polynuclear species. This reaction can produce a basic solution. Of the remaining elements in Table 11-2, the number of equivalents of the cations Na+, K+, Mg2+, and Ca2+ exceeds the number of equivalents of the listed anions. Therefore, some of these cations must be added as the oxides or hydroxides, and if the calcium and magnesium associated with 0.55 mol of carbon as CO34 were omitted, the basic materials would be in excess. 3Opal is amorphous SiO2; it occurs widely in many forms besides the gemstone. 4Diatoms are members of the group of microscopic organisms called plankton, which are a major component of the food chain in the oceans. They have a skeleton made of silica. Such reactions produce H3O+ ions, and since the amounts of materials (alumina, silica, cations) are large, they can be the controlling reactions for establishing pH. Addition of carbonate still leaves the aluminosilicates in excess. Various reactions of this type involving known minerals can be proposed. Although accurate equilibrium calculations are difficult to make (partly because equilibrium constants for many of these reactions are not well known) and the hypothesis of equilibrium cannot be checked reliably, it is certain that such reactions can occur. The basic result of Sillen's model is that aluminosili-cates control the pH, and the carbonate system merely serves as an indicator and a short-term buffer, since reactions involving sediments should reach equilibrium much more slowly. In any real application of buffering action, mixing times are important, as already mentioned. Equilibria involving cation exchange reactions are important in mineral systems. Bonding of species held by predominantly Coulombic interactions will depend largely on packing efficiency, and for cations of the same charge, the affinity with which they are held in an aluminosilicate lattice will depend mostly on the relative sizes of the cations and the lattice positions available for them to occupy. For example, relative size (radius ratio) principles predict that a small cation is most stable in a site determined by four oxide ions that surround the cation in positions that correspond to the vertices of a tetrahedron (tetrahedral site) but fits less well and is less stable than a large cation if surrounded by six oxygens (octahedral site).5 This simplification is often violated when factors other than simple electrostatic interactions become important. 5The structures of many inorganic solids can be related to how the largest ions present can pack together geometrically. These are usually the anions. Packing of spheres naturally leaves spaces between them, and the cations occupy these positions, serving to hold the system together by Coulombic attraction. The usual geometries around these spaces are tetrahedral or octahedral; both occur in a given packing scheme.